Linkline Express Services Ltd is celebrating success after driving away with a coveted accolade from logistics giant Pall-Ex. The firm presented Linkline Express, from Birmingham, with the Regional Member of the Year award at a prestigious awards ceremony at the East Midlands Conference Centre hosted by comedian Sir Lenny Henry, as it celebrated a successful 2017 and hails 2018 its time to shine. The event also marked the organisation’s triumph in establishing itself as the number one pallet network for quality, having introduced operational changes to improve efficiency and load quality over the last 12 months, making it a market leader in damage reduction, and agreed partnerships with a number of big names. 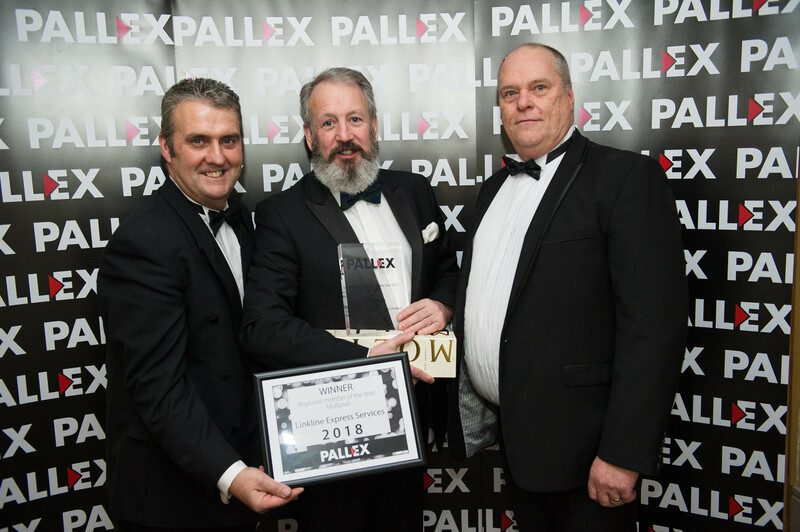 The winners of the Pall-Ex awards were all selected due to their growth during 2017, compliance, quality distribution, communication and partnership with Pall-Ex. Kevin Buchanan, Group managing director at Pall-Ex, comments: “We are proud of the contribution every network member has made to Pall-Ex over the last 12 months, which has enabled us go from strength to strength and firmly establish ourselves as the leading logistics network. “It has helped to establish us as the leading logistics brand in the UK and across Europe, and as the number one network for quality, which we will continue to build upon with a number of measures we are introducing during 2018. Pall-Ex Group was formed by renowned entrepreneur Hilary Devey CBE in 1996 and is an award-winning network of quality hauliers, who collaborate to deliver leading palletised freight distribution services throughout the UK, Europe and beyond. With its headquarters and central UK hub located right at the heart of the Midlands, Pall-Ex has grown phenomenally since its inception in 1996. For more information on Pall-Ex, visit www.pallex.co.uk.